Google Drive is one of the best platforms for sharing and storing files. It is great for people who need to access files from anywhere. 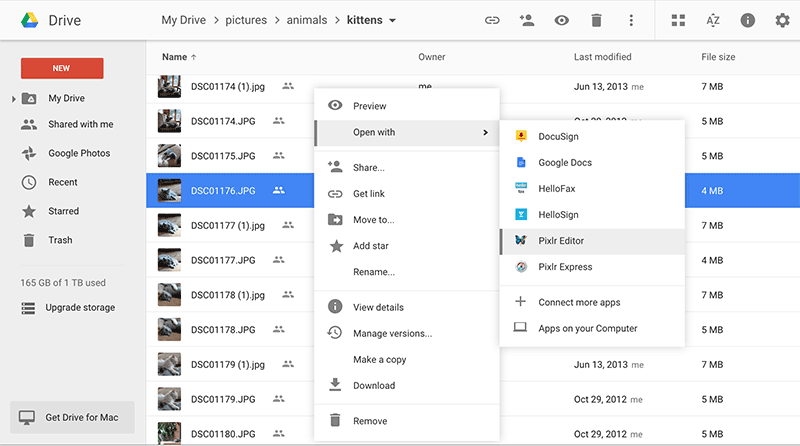 One of the main advantages of Google Drive is the ability to upload, edit, and save different type files without having to download it. This article will tell you how to convert PDF to Google Doc compatible formats. PDFelement was designed to accomplish a multitude of PDF tasks. It is an excellent tool for converting PDF documents to Word, Excel, and PowerPoint files, which can then be uploaded to Google Docs for future editing by one or more people. Apart from conversion, PDFelement can be used to add, edit, or delete many editorial elements on PDF documents. And with OCR, you usually have the option of playing around with scanned PDF files, just as you would any other regular PDF file. Annotations such as highlights, strikethroughs, and underlines can be inserted or removed using this tool. You can merge multiple PDF files to make one file, split a single PDF file to create several files, or insert or replace pages to change the way the PDF file is organized. After launching PDFelement, you can drag and drop a single PDF file into the program to open it. 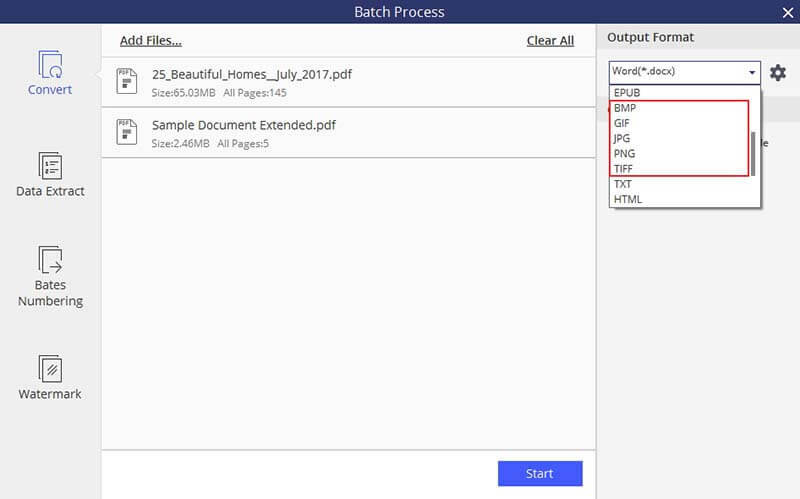 Or upload the PDF document by clicking the "Batch Process" box to convert multiple PDF files. 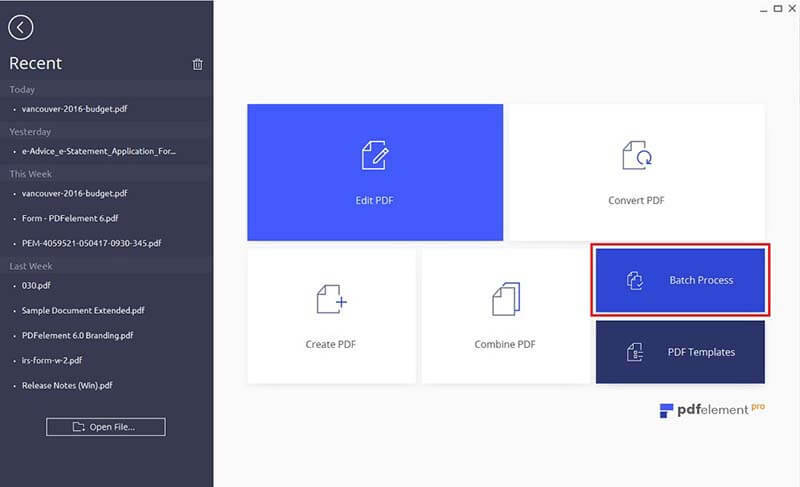 In the pop up window, you can click "Add Files" to import more PDFs for conversion. Go to the top-right corner in the pop up window and select an output format that you want. It depends on the content within your PDF file and its intended use. You can activate OCR by clicking the "Setting" that says "recognize scanned documents". You can then save your converted file and select your desired destination folder for it. Once you are satisfied with the settings in this window, click "Start" to convert. This shouldn't take more than a couple of seconds, but it will depend on the size of the PDF file. Once the conversion process is completed, navigate to the output folder to access the converted files. With your Google Docs-compatible file at hand, open your browser and navigate to Google Drive. Log in to your account and upload the converted file to your account. The editing and sharing options can be set as needed and then you can upload the document. Anyone with the necessary permissions can now edit the file online without having to download it, edit it, and re-upload it to the cloud. Before uploading your PDF document to Google Drive, you'll need to ensure that the documents can be edited with Google Docs. Supported file types include doc, docx, dotx, txt, odt, and rtf; spreadsheet files such as xls, xlsx, xlt, xltm, csv, and ods; presentation files such as ppt, pptx, pps, ppsm, potx, and odp; drawing files including emf; and scanned objects that have been saved as pdf, gif, jpg, or png. Converting your documents to formats that are compatible with Google Drive will enable you or others to edit and share them easily.